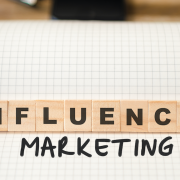 Influencers are utterly divergent between the generations and there are few brands that can afford to ignore either end of the age spectrum. Most brands rely on being purchased or consumed by older age groups to survive and make a profit, after they’ve been discovered and made cool by the young. Here’s how I found this out so powerfully. We all had to come up with the picture of an influencer who had actually influenced us – i.e. we’d bought something directly as a result of something they’d said – for a brainstorming session. It took me ages to think of someone whose opinion I could be certain had categorically caused me to buy something. Apart from Jeremy Clarkson. He has put me off a lot of cars. Full disclosure here in case you hadn’t guessed already, I’m in the 50 – 55 age category. Sure, I’m on social media; Instagram a lot, Facebook not so much and Twitter now and then to see what’s trending. But mostly I look at stuff on those channels and laugh and say “honestly!” or “FFS” or “what does she think she looks like” or more often “damn them they’re on holiday again!”. Hand on heart I couldn’t think of a single thing I’d bought, or a thought I’d had, that had been changed or influenced through social media. In the end I plumped for Mariella Frostrup because I knew for sure I’d read a book she discussed, and although she resolutely promotes nothing on Instagram, she is at least across the channel. Not one person under the age of thirty had heard of her. No idea whatsoever. Played a recording of her delicious, distinctive voice. Nothing. That art show on TV? A glimmer of recognition but even then I think they were faking so we could move on. My colleagues choices included Carrie Hope Fletcher, Monica Stott and Pandora Sykes. Never heard of them. Literally no idea who they were talking about. But I soon learned they had millions of followers and one of them had a podcast in the UK top 10 every week. In my defence there just isn’t time what with my children, my parents, my work as a school governor, my yoga at Soho Farmhouse, the groups I sing with, my friends, my garden and oh my day job in PR to consume any more media or information. My guilty treat is reading the weekend papers cover to cover. My car-time, down-time and bed time is full up. My younger colleagues are pretty busy too. There just isn’t time for us to have a Venn diagram Influencer overlap experience anywhere. In the past that overlap would have come from a TV, newspaper or radio show we shared together, but there’s so much choice nowadays these circles and choices rarely overlap. So that’s why it’s essential that PR teams make age part of diversity along with gender and ethnicity, to ensure we develop inclusive, effective communication campaigns. How do you measure creativity? PR measurement systems that work Suffering from Environmental Empathy Exhaustion?